Electronic key control is an essential component of a school district’s security program. When keys fall into the wrong hands, schools risk not only loss of assets but lives as well. This is clear from several missing-key incidents reported this year. In Massachusetts, police were investigating a bomb threat at Newburyport High School when they discovered a 16-year-old (who was not connected to the threat) was carrying a school master key and butterfly knife. During a separate incident, a missing set of master keys forced an entire school district in Oregon to rekey 16 schools, costing approximately $50,000. School key control mishaps are not always confined to campus premises, however. When a school bus driver in Maryland left her position, she left the key to a year-old $106,000 bus inside the glove box — a decision that enabled a man and woman, both intoxicated, to take the vehicle on a dangerous excursion. Thankfully, no one was harmed, but the bus struck an electrical tower and eventually crashed into the woods, causing extensive body and engine damage to the vehicle. 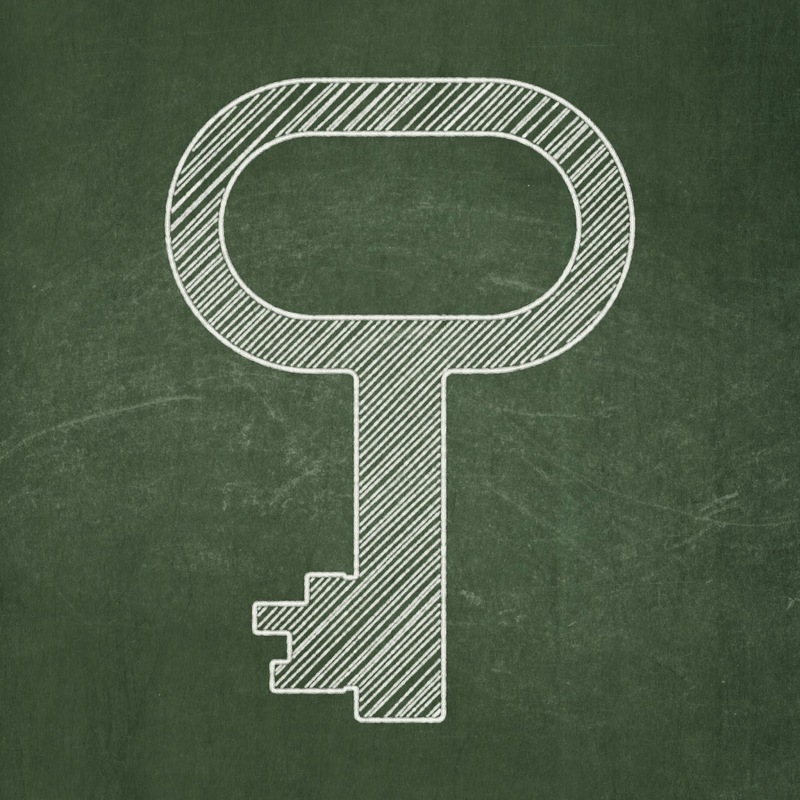 When it comes to school security, electronic key control provides two key benefits: restricting access to keys and automatically documenting an audit trail of key usage. By keeping keys in an electronic key control system that controls user access, schools can cut down on incidents in which keys are either lost or end up in the hands of unauthorized people. If an incident does occur, the audit trail created by an electronic key control system can help police and school officials quickly identify who last checked out a specific key or set of keys. To maintain a competitive edge, you, as a property owner or manager, need to meet tenants’ priorities to keep your occupancy rates up. According to a survey by Apartments.com, safety is one of renters' top considerations when making a rental decision. That’s where electronic key control comes in. 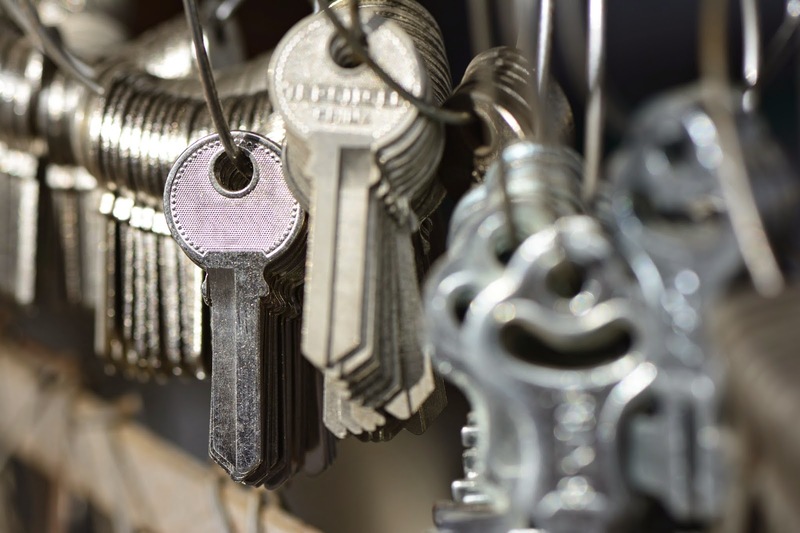 Regulating the use of unit keys can help make tenants feel safe on your property — especially when you implement other security precautions, such as good lighting in parking lots and stairwells, locks on windows and deadbolts on doors. 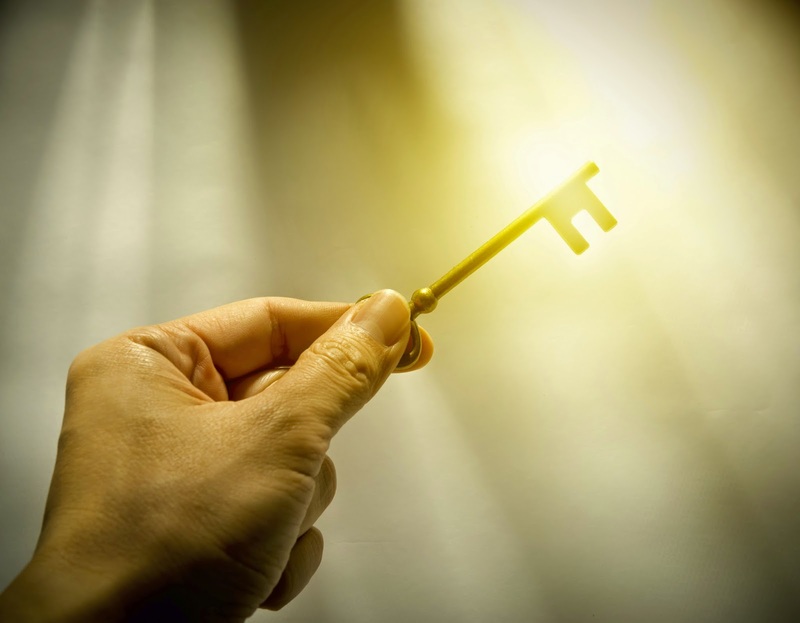 To get the most value from your key control system investment, there are a few things you need to look for, which we'll discuss in this two-part series. We'll start with two features that can make or break the effectiveness of a key control system. In addition to protecting keys and assets by physically securing keys, electronic key control systems help keep employees accountable and reduce your property's liability risks by creating a verifiable audit trail of key activity. To maintain the integrity of system records, it’s important to make sure your key control system uses passive data collection methods versus active ones. Passive data collection methods capture transaction information as soon as a key is removed, but active data collection methods require users to manually record transaction details or initiate the data capture by a specific action such as scanning a key tag. You should also find out whether data is stored locally on the system, on the vendor’s server or with another third party. If the data is stored off-site, ask if there are any data storage fees, and if so, how the fees are determined. If data is not stored directly on the system, know how you will access your data in the event that you lose Internet access. If you need to centralize key management practices among multiple properties, one of the first things you should look for in a key control system is a remote management feature that allows you to access multiple systems by logging in to an online portal. From there, you should be able to run reports for each property and perform actions such as setting up users or entering asset data. To find out what else you should look for in a multifamily key control system, check out Part 2 of our series. Money, time, resources and reputations are all at stake when a business falls victim to theft. Employee theft alone costs businesses about $40 billion each year. These security breaches impact companies by making employees feel unsafe and disrupting usual business activity. Let’s take a look back at some of the craziest security breaches that could have been prevented with a dose of proper key control. A public works inspector stole 1.8 million individual quarters from a parking meter coin room (that he should not have had access to) over the course of two years by using his city-issued master key. Electronic key management systems offer access levels, so you can set specific permissions for employees. By limiting the number of employees who can access certain keys, you’ll greatly reduce the risk of internal theft, preventing mis-issue of the wrong key type. The Phoenix Fire Department reported the loss of hundreds of keys that provided firefighters access to buildings all over the city. 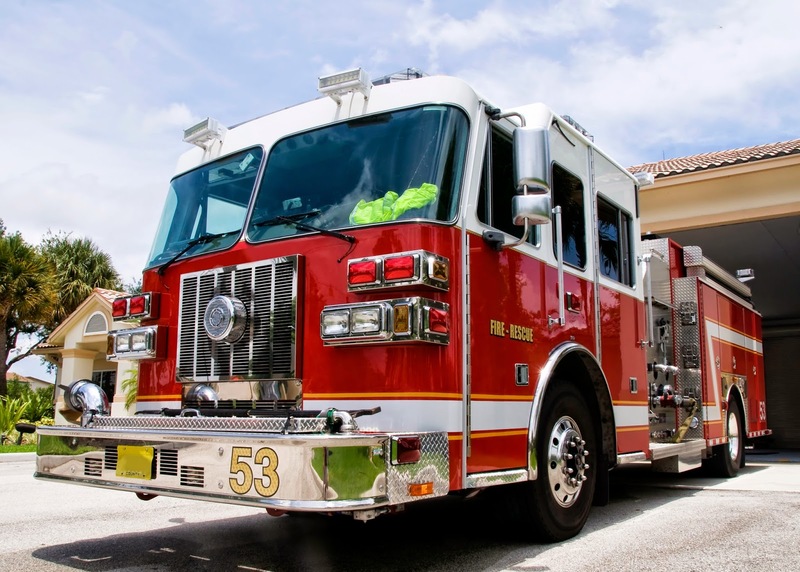 Not only did the fire department slack on its own security, but it also put many businesses and apartment complexes at risk of theft. With electronic key management, this fire department could have tightly secured these important keys to keep the city safe. As part of her job the vice president of product development at Tiffany and Co. was able to check out pieces of jewelry to show to potential manufacturers. After she left her job, the world-renowned jewelry store found that over 100 pieces of the jewelry she checked out were never checked back in. When it comes to securing highly expensive inventory, keeping a verifiable record is crucial to accurately track key activity. Even a huge corporation such as Coca-Cola is vulnerable to internal theft. A former supervisor took a set of master keys and stole over $8,000 from company vending machines. If this bottling company had employed an electronic key control system, the ex-supervisor wouldn’t have access to the keys after leaving the job. In addition, if any unauthorized access was attempted, a manager would immediately be notified by email or text message with information about the incident. These are a few of the most extreme examples of why key control is necessary for all businesses. Learn more benefits of electronic key control here. After a two-year investigation, a police department in Plantation, FL is dealing with the theft of nearly $225,000 in cash. The money had been stored in the department’s property room, where confiscated assets are kept. Unfortunately, the department’s storage methods consisted of stashing the cash in paper bags within a file cabinet. 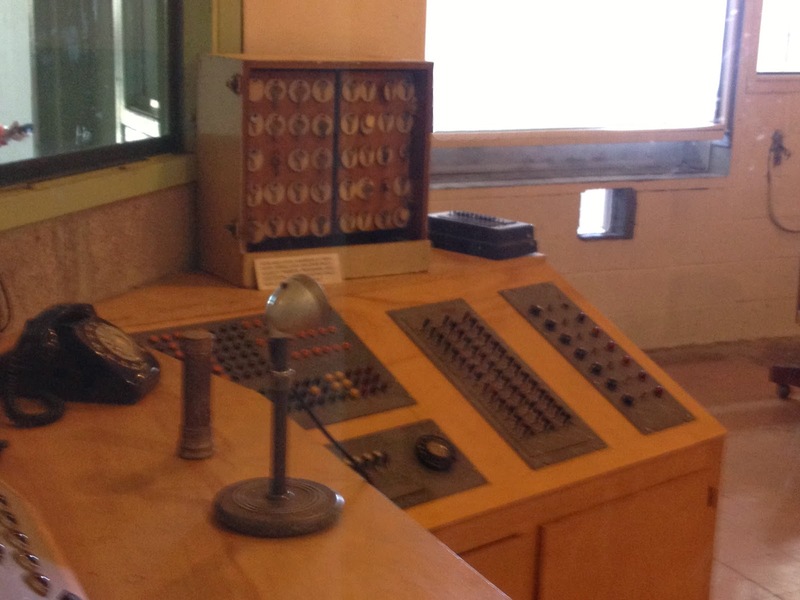 The cabinet was routinely kept locked as of 2011, but the keys were stored in an unlocked box. The theft was discovered when a man recently released from prison came back to retrieve his money and the department couldn’t find the money within the property room, which was in disarray and lacking adequate records for asset tracking. 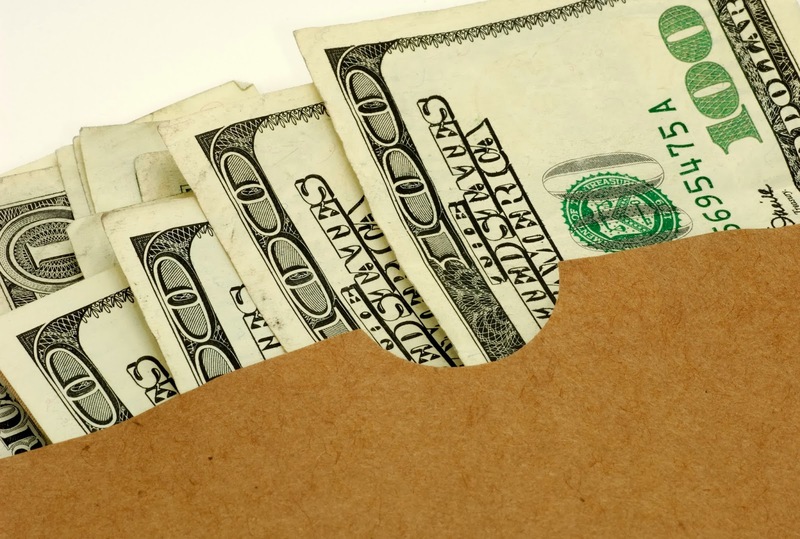 Eventually, the stash of cash was found, but several of the paper bags were either slashed open or missing altogether. The theft is thought to be an inside job, but without an adequate audit trail and system of checks and balances, the department is unable to prosecute the suspect. The police department has taken measures to prevent future thefts by implementing security measures such as around-the-clock security cameras, impromptu property room searches and a policy prohibiting employees being alone in the room. Law enforcement agencies can learn from the Plantation Police Department’s experience by auditing their security policies, especially asset management and key control procedures. For example, departments responsible for storing valuable confiscated assets can use a high-security electronic key control system with secure lockers to keep items locked up. Rather than keeping locker keys in unsecured boxes, they can be physically locked down in a secure panel that only permits authorized users to remove them. Using a system with a motion-activated camera, audit trail and biometric fingerprint authentication methods can help create an automatic audit trail that allows key usage to be traced to a specific employee. Are You Adequately Securing Your Dealership's Keys? So you've purchased and installed an electronic key management system at your dealership. That's all you have to do to secure your keys, right? Wrong. Your system will only serve its purpose (protecting your keys and the cars on your lot) if you use it properly. We've outlined below some common mistakes that dealership owners make (and how to fix them) when employing electronic key management systems. Whether it's the spare key kept with the owner's manual or valet keys, some dealership owners choose to keep some of their keys out of electronic management systems but secure others inside of it. Some cite limited space in their systems (though some electronic systems can hold up to 5,760 keys) as the reason for not securing every key tightly. Convenience is another common reason, although there is nothing convenient about paying up to tens of thousands of dollars in rekeying costs if keys are stolen from your dealership. Make it a best practice to fill your electronic key management system with every key that unlocks a car on your lot. Once you have secured all of your dealership's keys in your electronic management system, you need to find a secure area for the system itself. Just like banks don't keep their vaults unmonitored, you shouldn't keep your system in an unmonitored area. Placing it in a back room or an off-site location reduces user accountability. Place the system where there is little customer traffic but where it is accessible to authorized users, such as a manager's office. After putting all of your keys in an electronic management system and keeping the system in a monitored area, you may think you're finished as far as secure key control. If all employees have authorization to check out any key, you're opening yourself up to unnecessary liability risks. Unfortunately, there's also the possibility of internal theft to consider. To lessen the chances of internal theft, set up varying levels of authorization. Employees on the sales floor, in the service department and other areas should only be authorized to check out keys relative to their duties and responsibilities. By fixing these three mistakes, you can rest assured that your keys are safe. The glitz, glamour and excitement that surround casinos can sometimes distract from what is going on behind the scenes. A complex system involving casinos' most precious assets and the keys that secure them has evolved over the years in an attempt to deter criminals. Key control systems aid in preventing theft by not only keeping assets out of the grasp of unauthorized individuals, but also keeping them from gaining access to the keys protecting those items. Here are a few ways electronic key control systems can keep your keys and assets secure. You most likely already know the importance of locking up your cash and chips in secure vaults. However, if the keys that unlock the vaults aren't also secure, your items are still susceptible to theft. An electronic key control system can help prevent keys from falling into the wrong hands. Select a key control system that allows you to set up additional barriers such as logging in with a password, proximity card or fingerprint when users want to access a key. Once you set these additional security measures, key access will be denied without the proper credentials. You should also make sure you select a key control system with an active total lockdown feature to prevent any other key from being taken, even accidentally. Only the requested key will unlock and all other keys will stay locked in place, so you can be confident that your casino's keys are secure. 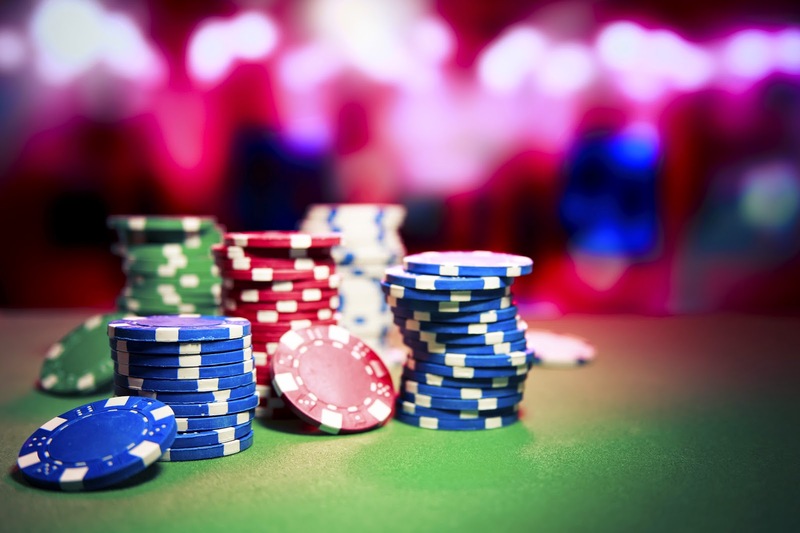 Casinos must protect a number of important assets along with keys. For instance, guards' firearms should be locked away when not being worn. Laptops and smartphones may also need to be secured if they contain proprietary company data. To best protect your non-key assets, look for a key control system that provides alternative lockdown storage such as steel lockers. Not only will these tamper-resistant lockers prevent important assets from being taken, but employees' access can be restricted to just the lockers for which they've been authorized. By limiting access to only the people who need certain items, you greatly reduce the chances of theft. Using a system that secures both your assets and keys will help ensure robbers don't disrupt your operations. To learn more about the benefits of electronic key control, check out this post. High-rise office space is popular because it’s a convenient way to accommodate more employees on less acreage. However, managing high-rise buildings is also high-stress, particularly concerning key control. More space equals more people, more keys and more security issues. Automating key management processes can help bring order to what would otherwise be organizational chaos. Here are three ways electronic key control systems can help make managing high-rise building keys safer and more efficient. It’s only logical that the more rooms there are, the more keys there will be: keys for company suites, individual offices, cubicles, file cabinets, storage closets, mechanical rooms, etc. To centralize key management, you can install electronic key control systems in multiple locations throughout the building and network the systems. Using remote web-based key control software, administrators can then access each key control system from a central location to perform duties such as setting up users, entering asset data or running network reports regarding key activity on all systems combined. 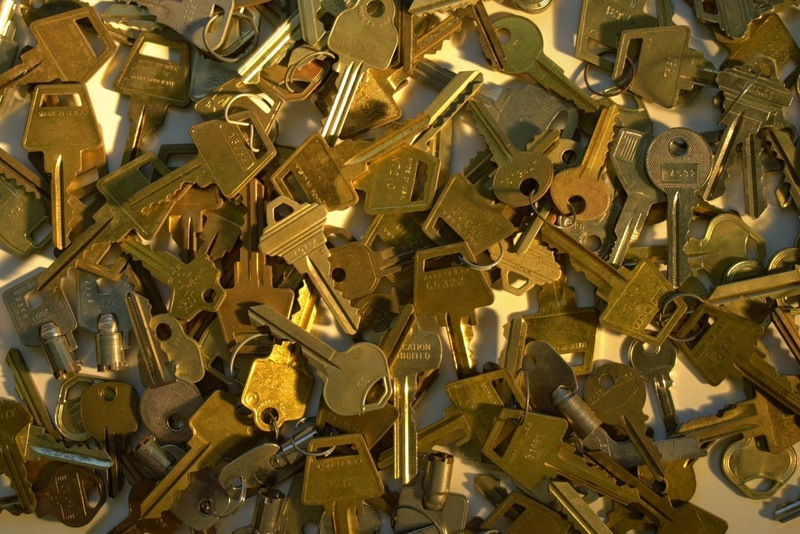 Managing a high volume of keys becomes more complicated when you throw in a large number of employees with different key usage needs. Not all staff members need — or should have — full access to all building keys. For example, the customer service manager doesn’t need a key to the CEO’s office, and an accountant doesn’t need access to the custodial room. Not all keys have a dedicated use, though. Multiple employees might have access to a particular key (e.g., to a conference room), which could lead to scheduling conflicts and key tracking issues. You also have to consider not only who has access to certain keys, but when and for how long. Some staff members might be issued a key on a permanent basis (e.g., their office key), while others only need a key (e.g., the conference room key) for a specific time frame. In addition, employees might have permission to check out a certain key only at specific times, such as while they’re on the clock or during business hours. With so many access types and levels, manual key control is cumbersome and susceptible to errors. Electronic key control allows you to predefine access levels and grant or deny access to keys depending on the person’s user profile. Plus, employees can reserve shared-use keys ahead of time, preventing scheduling issues. 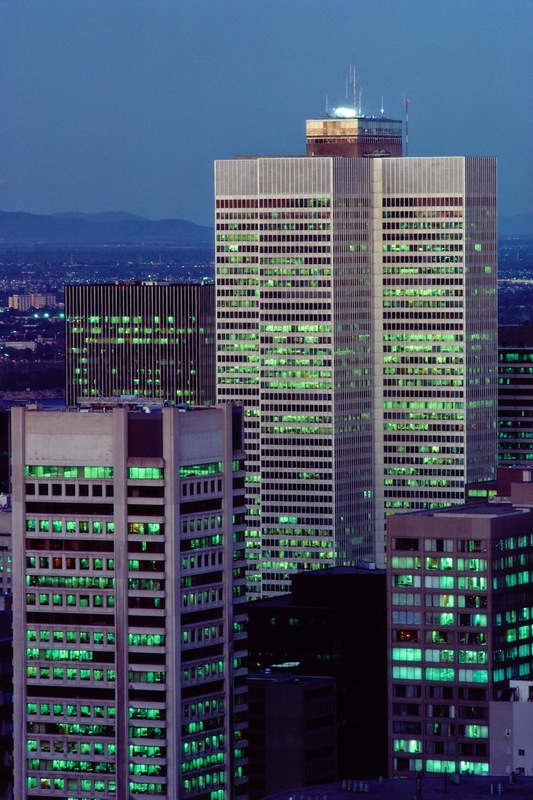 High-rise buildings present more opportunities for security breaches. For instance, with so many people working in the same building, it’s easier for unauthorized people to tailgate into the facility without being noticed, because employees are used to seeing unfamiliar faces. This risk makes it especially important for employees in charge of specific keys to make sure they lock up private areas. Of course, if someone doesn’t properly secure a key and an unauthorized person finds it, they can access secured areas, even if they’re locked. Having this information can help you trace security issues back to the employee who was responsible for the keys to any areas involved in a breach. In addition, if employees try to access a key they’re not authorized to have or don’t return a key on time, managers can be immediately notified by a text or email alert. By using electronic key control systems to address high-rise key management challenges, you can keep unnecessary chaos at bay. To learn more, check out our post on automating key control logs. University Chemistry Laboratories: Is Your Key Control Strong Enough? Chemistry laboratories have good reason to keep stock chemicals under lock and key — especially when working with dual-use chemicals. These chemical compounds have legitimate scientific applications, but they can also be used for criminal purposes, such as illicit drug creation and chemical warfare. With these liability risks, it’s imperative for labs to employ adequate key control measures to prevent dual-use chemicals from falling into the wrong hands. Police issued a warning to the community when a vial of a deadly chemical went missing from a University of Montana lab. The director of biochemistry explained that anyone who works in the labs has a facility key, allowing them to access the entire building 24/7. Police later discovered that a student with approved access to the lab had taken the substance without authorization. A former Texas Tech student was accused of stealing equipment, chemicals and books worth more than $20,000 from the school’s science building. The electronic locks and card readers installed on the doors of the lab where the thefts occurred weren't working at the time of the incident. At a community college in Pittsburgh, the door to a lab was found propped open, and an inventory check revealed that chemicals had been stolen. A University of Saskatchewan student was suspended for having in his home chemicals stolen from a university lab. Two students of the Baldwin Wallace University Conservatory of Music stole a master key from a chemistry professor's key ring. They then broke into a lab, from which they'd planned to steal chemicals and other lab equipment before being caught by a security guard. A handbook on lab safety precautions even suggests that criminals have posed as university students convincingly enough to gain access to lab stock rooms. These stories reveal the need for better access controls for chemicals. So what can you do to improve security in your lab? There is a manageable solution for addressing key control problems. For one, you should keep all keys in a single area, which reduces the chance of them being lost or stolen. Also make sure keys are secured properly. Instead of hanging keys on a pegboard, secure them in an electronic drawer or locker panel that physically locks down key tags. To keep track of who is using keys, you can implement biometric authentication protocol, making it nearly impossible for a criminal to pose as authorized personnel. For instance, KeyTrak Guardian electronic key control systems utilize biometric fingerprint readers to ensure the integrity of the audit trail, so you know exactly which person signed into the system and which keys they accessed. Some key control systems — including KeyTrak Guardian — even give you the option to be immediately notified by text or email if an employee doesn’t return a key by a certain time or if an unauthorized person attempts to break in to the system. 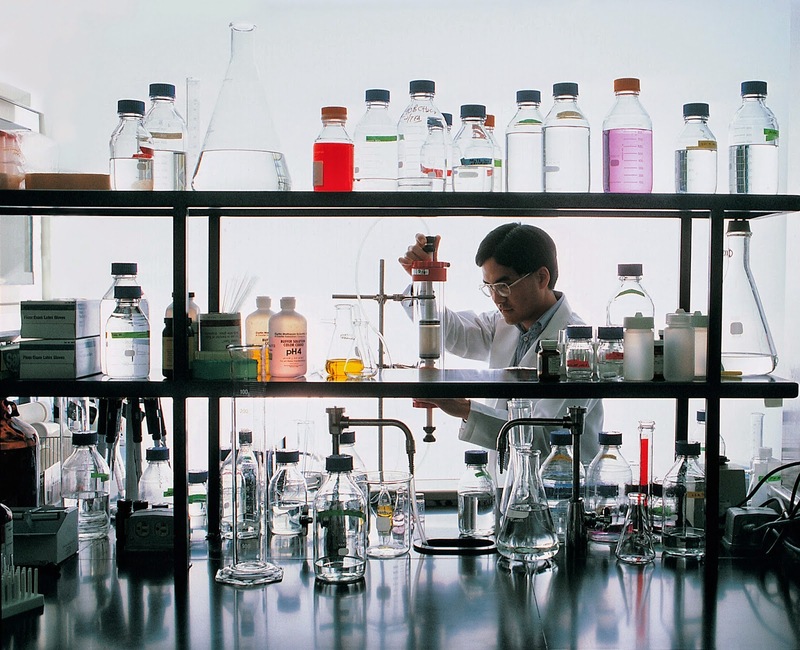 By taking adequate measures to protect the areas in which dual-use chemicals are stored, you can protect your lab from theft and maybe even save some lives as well. A Seattle-area resident’s urge for a joyride in a luxury vehicle ended in a dramatic theft fit for the big screen. On the morning of Tuesday, October 7, a security guard arrived at a Lake City Chevrolet dealership to find the showroom doors shattered on the floor, the tile floor covered with tire tracks and the keys to a $75,000 Camaro Z28 gone — the aftermath of the thief crashing the luxury vehicle through the building’s locked doors. The badly damaged vehicle was discovered in the driveway of a private residence only half a mile away. To keep joyriders from gaining access to your dealership’s keys, it’s vital to store keys out of sight in an electronic key control system. The system should have the ability to sound an alarm and notify managers via a text or email alert when an unauthorized person tries to gain access to keys. By implementing these security precautions, you can help prevent rogue joyrides before they happen. To learn more about the liability risks of poor key control, read how this dealership had four cars stolen in one week. For most people, the term “bank robber” evokes images of a masked bandit with a firearm in one hand and a cash sack in the other. But Delaware Department of Transportation (DelDOT) employee-turned-thief Aron Johnson preferred a different approach. After helping himself to a disabled coworker’s bank credit card, Johnson used a state vehicle to stop by multiple ATMs, where he withdrew a total of $500 in cash from the victim’s account. Johnson had just been hired by DelDOT days before and did not have authorization to be driving the vehicle. Johnson’s story shows why it’s necessary for organizations with fleet departments to closely control and monitor who has access to vehicles. Here are three essential components of a fleet management key control policy. To prevent employees from accessing keys they shouldn’t have, like Johnson did, you need to store them in a secure key control system with access levels. The system should require employees to verify their identities before logging on, such as by scanning a fingerprint. For employees who have access to a finite number of keys, make sure the system allows for customizable permissions levels. If an employee attempts to access the system or a specific key without the proper permissions, make sure the key control system is equipped to notify management immediately either through an audible alarm or an alert by text or email. In a situation like Johnson’s, for instance, a manager could have been immediately notified that Johnson had removed an unauthorized key. Even if Johnson hadn’t been able to get to the key due to not having system access, a manager would have been alerted that he’d tried to log on to the system. The key to protecting your organization from liability is to have an audit trail. By keeping detailed records of vehicle key activity, including when they were checked out, who’s using the vehicles and how many miles the vehicle has upon checkout and check-in, you can quickly identify and address any unusual or illegal activity. To avoid inaccurate or incomplete data, opt for a 100 percent automatic audit trail rather than a manual key log. 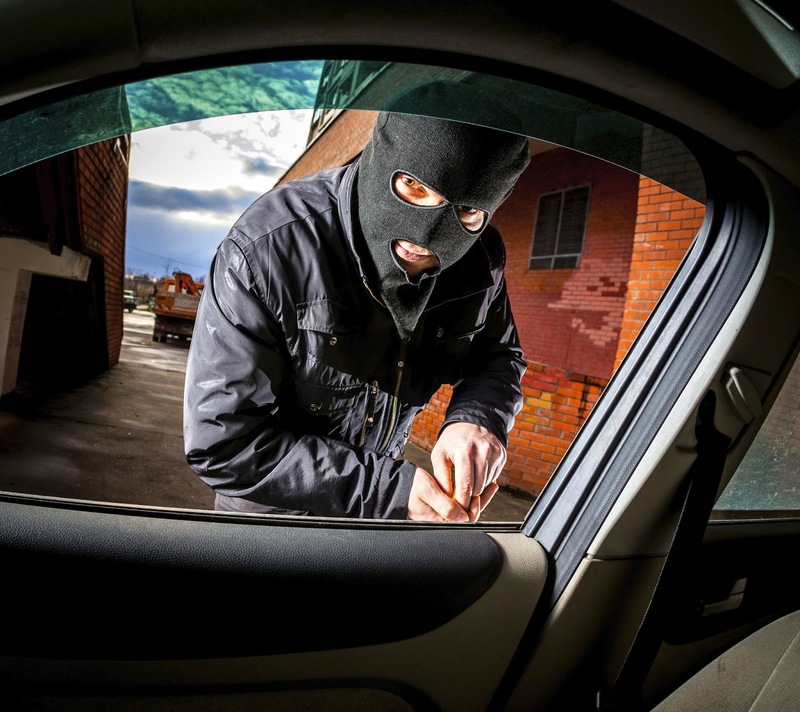 Even with car security systems becoming more advanced, thieves are still using one low-tech theft method with considerable success. They are taking advantage of valet keys, which are often unknowingly or unwisely left inside the glove compartments of cars. While many of these thefts occur in car owners' personal driveways, the same trick can be used at dealerships. Under the cover of night, thieves could sneak on to the lot and drive off using valet keys they find sitting in the car. Now more than ever, it's important to treat valet keys like fully functional keys, because there is essentially no difference for would-be criminals. 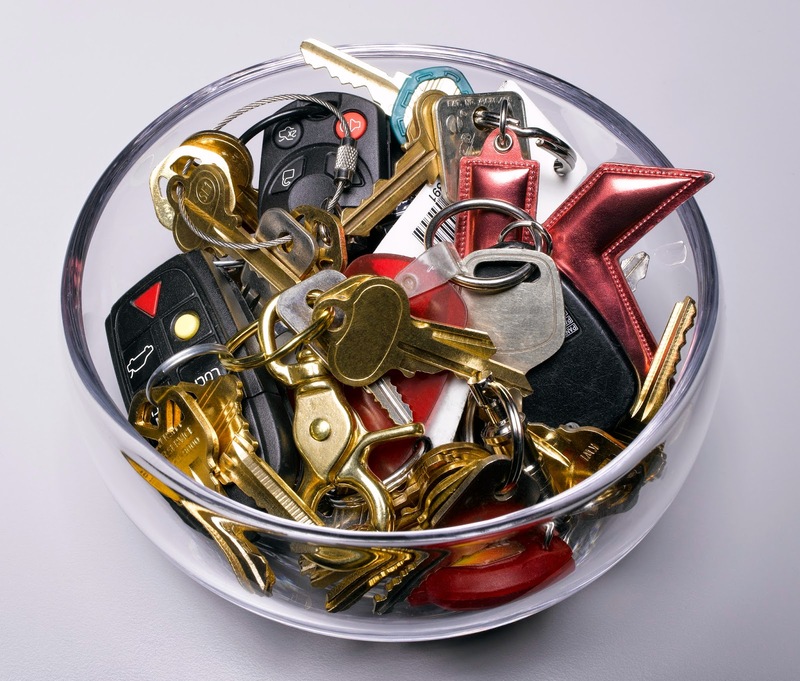 All of the protections surrounding the main keys at your dealership must similarly be put in place for valet keys. Foremost, each car on your lot should be checked to ensure that no valet keys remain in the glove compartment or owner's manual. If any are found, they should be removed and given to a manager. Next, valet keys should be placed in a secure key control system to deter thieves from simply picking them up from a pegboard or countertop inside the dealership. 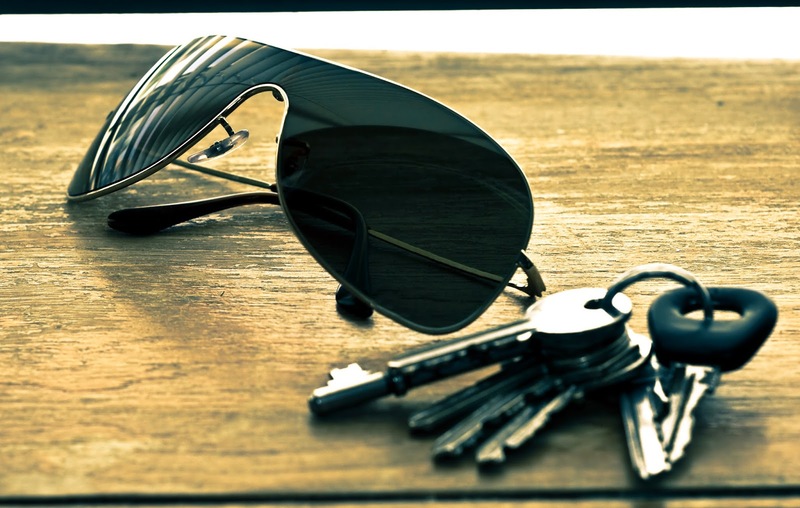 When keys are out of sight and can't be accessed easily, criminals are less likely to attempt theft. Finally, valet key usage should be tracked using customizable reports created by the key control system. Reports can reveal a trend in the frequency and length of key usage. If valet keys are being used at strange hours or for abnormal lengths of time, employees may be misusing the vehicles. What methods are you taking to make sure your valet keys stay safe? In Toms River, NJ, police have recently charged a maintenance man, Nicholas Bradley, with two counts of theft and one count of theft by deception. During a routine pawn shop database check, police discovered Bradley had made over 100 pawn sales in the last two years. After investigating the questionable behavior, they found that Bradley was the maintenance man at a local apartment complex and used the master key — which he was given to perform maintenance duties — to steal small amounts of jewelry and money from tenants. He would then sell the jewelry at pawn shops, making quite a profit on the stolen items. The apartment complex’s current system of simply giving maintenance workers a master key is unsafe for tenants and provides workers easy access to apartments with no form of accountability. A method that could have prevented these thefts is an electronic key control system. With electronic key control, apartments can keep all of their keys in locked metal drawers or cabinets. The only way to unlock the system is with an authorized proximity card, fingerprint and/or password. Then the user will request a key and provide a reason for checking it out, creating an automatic record of the transaction. The system keeps these transactions on file along with the time the key is returned. If thefts occur, you’ll be able to check your transaction records to see the employee who last accessed a specific key. If you manage apartments want to protect your tenants and reputation, try using an electronic key control system to monitor and manage your keys and your staff. By now, apartment complex managers and owners should know about the safety that electronic key control systems can provide. However, many may not be aware of the additional aid they can deliver for day-to-day business operations. We've listed a few benefits below to demonstrate how electronic key control can help your property on a daily basis. Installing an electronic key control system will make employees more accountable for their actions. Each person must log in to the system with a password, proximity card or fingerprint in order to access a key. The name of the person accessing the key is then stored electronically along with the date and time the key was taken. If a key is lost, you will quickly discover the person responsible. You can also hold employees accountable for the length of time they possess a key. An electronic key control system would allow you to set up email and text alerts to let you know when a key has been checked out for longer than its time limit. This will allow you to make sure that employees only use the key for a specific duty and don't have time to use the key maliciously. Accurate record keeping is often an overlooked benefit of electronic key control. When employees check out a key, the time and date as well as the purpose for using the key are recorded. This creates a verifiable audit trail for you to reference in case of a mishap. For example, a report can be generated showing the number of times a specific key was needed for maintenance. If items go missing when a particular worker handles jobs, there may be a problem. A Toms River, NJ property experienced this firsthand when they discovered their maintenance man stole more than 100 items from tenants' apartments over the course of several years. If reports had been automatically generated and regularly checked, this might have been discovered sooner. One of the greatest advantages of having a key control system is the increased simplicity. When the complexity of finding the right key is removed, workers will be able to save time and move on to their next job more quickly. Key control systems can also help with complex maintenance problems. Built-in work order tracking features will list the maintenance task, the parts needed, the parts available and the employee responsible for completing the job. When each duty is laid out clearly, maintenance workers' jobs are much simpler. By implementing an electronic key control system, you can improve your business in these ways and many more. 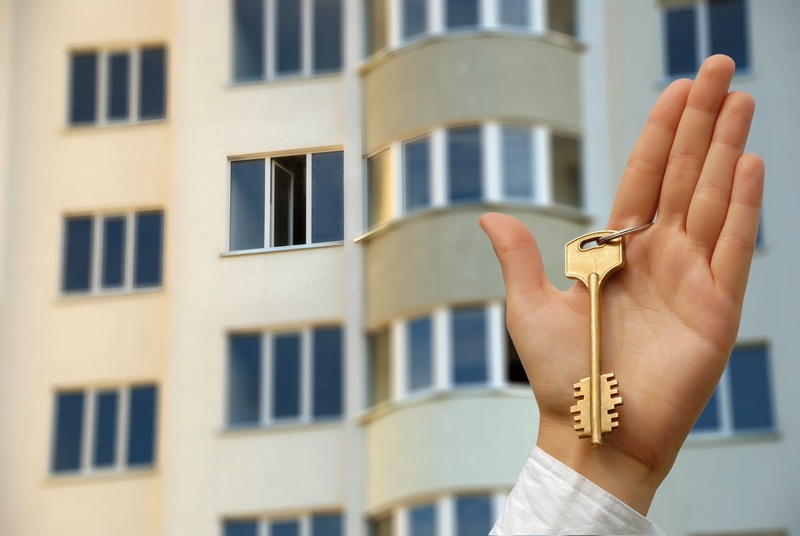 Are you thinking about investing in an electronic key control system? 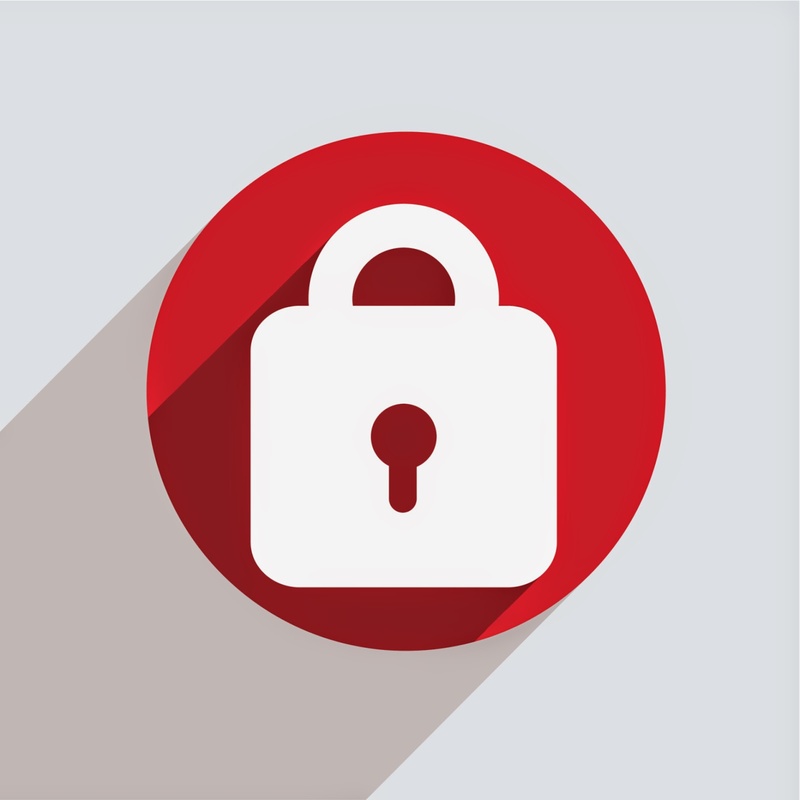 If so, you’re taking an important step toward protecting your business from security breaches. But before you sign on the dotted line, take some time to consider the support options the vendor offers. As with any hardware and software, electronic key control systems can at times require support, so you’ll want to know what your options are ahead of time. Even if a vendor appears to provide comprehensive support, take a close look at these four areas to determine how support issues will be addressed after the sale. Make sure you know which system components the vendor supports in-house. 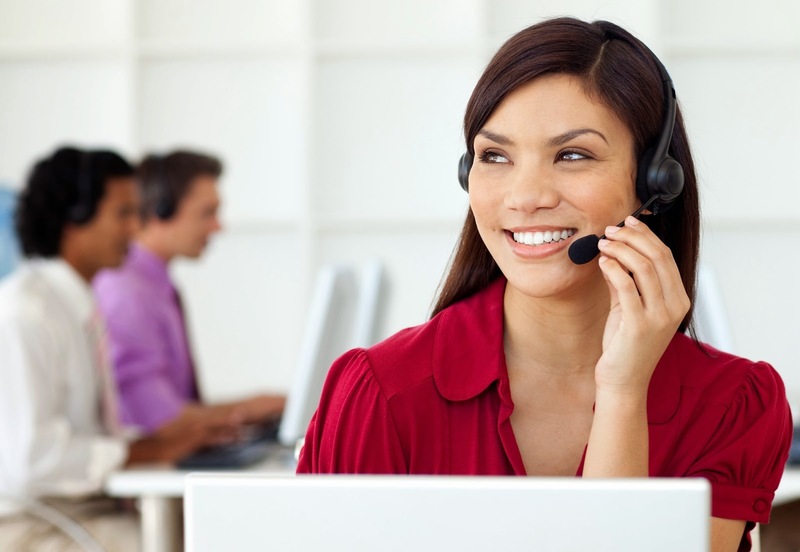 If the company isn’t able to provide direct support for any ancillary hardware used with the system, you’ll need to obtain contact information for all the companies who support the peripherals you plan on using. Does the Company Cover Third-Party Support Costs? If a vendor outsources support to third-party manufacturers, find out if the company covers any of the support costs or if you’re responsible for paying them in full. Even if the vendor contacts the manufacturer on your behalf, you could be responsible for any replacement or repair costs. Note that many manufacturers don’t publish service charges, making it difficult for you to control costs. In addition, if the item isn’t fully covered by a manufacturer’s warranty, you could be forced to absorb the entire cost of any necessary repairs or replacements. What Are the Manufacturer Warranty Terms? If you’re required to purchase manufacturer warranties for any hardware used with the key control system, familiarize yourself with the terms of the warranty before investing in that system. When third-party hardware is used with software or hardware not authorized by the manufacturer, including key control systems, warranty coverage can be rendered void if problems arise. In addition, warranties only provide repair or replacement coverage for a specified period. If no coverage is available after the warranty period, any hardware failures can make repairs difficult, if not impossible, and replacement hardware might not be compatible with the key control system. What Are the Company’s Support Hours? When evaluating key control vendors, it’s important to determine not only what type of support they offer but also when support is available. If the key control company provides support directly, do they have an around-the-clock hotline, or are help desk representatives only available during business hours? If the company outsources support to a reseller or hardware manufacturer, you should also find out what their support hours are. Keep in mind that time differences can cut down on the amount of time you’ll have access to support. Hopefully, after examining the support options available to you, you can confidently move forward with your purchase. If you find you need more support coverage, however, check out our post “What to Look for in a Key Management Vendor” to find a company that’s willing to work with you to meet your needs. The last thing a hotel wants to experience is a robbery. It can lead to a loss of both reputation and revenue. Unfortunately without proper key control practices, hotels put themselves at risk and make theft much more likely. The Bright Inn in Loganville, GA discovered their guests were robbed as a result of substandard key security measures. A guest had taken the hotel's master key and used it to steal items from several rooms before fleeing. This comes on the heels of two previous incidents where sets of master keys were stolen from a Motel 6 laundry room and a Red Roof Inn's front desk. 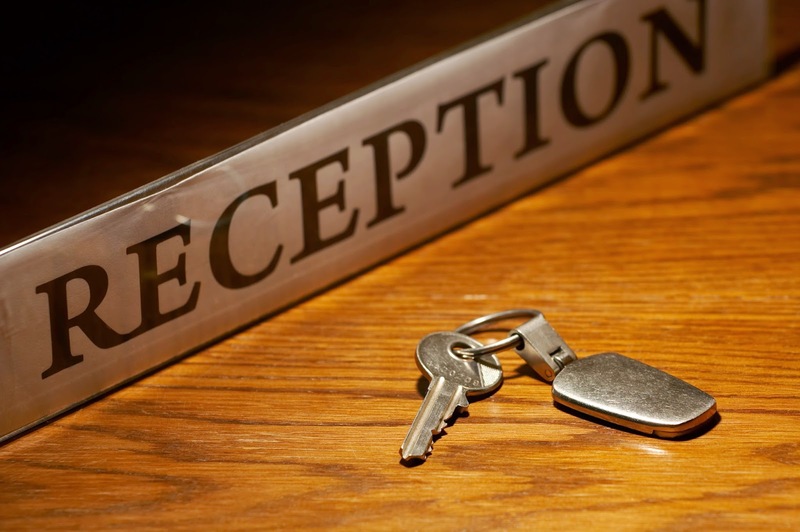 These events reflect a troubling trend at lodging establishments this year: Employees are leaving keys out in the open. Fortunately key and asset theft can be deterred by installing a secure key control system. Electronic key control systems hold employees more accountable for their key use. Each time someone wants to check out a master key, they must log in with a password, proximity card or fingerprint. This creates an electronic paper trail detailing exactly who had a key and when they took it. When employees know that lost keys can be traced back to them, they'll be more careful not to leave keys where an unauthorized person could take them. With keys returned to the security of a tamper-resistant key control system, crimes of opportunity are discouraged. The likelihood of having to deal with thefts such as the above are greatly reduced and key use becomes much more efficient. In this way, key control can help you keep a good reputation while saving time and money. For more information about how electronic key control can secure your keys and assets, check out the four different layers of physical security. In the wake of the many high-profile data breaches over the past several years, businesses are aware more than ever of the importance of cybersecurity. However, one issue that hasn’t received much time in the spotlight is that if you take measures to protect your data against an online breach but fail to make sure your physical data center isn’t secure, you’re still susceptible to a data breach. After all, even data stored in the cloud resides in a physical data center. Whether you store your data in a self-managed on-site facility or outsource it to a data vaulting vendor, you need to take adequate steps to protect the hardware containing your data against physical intrusions. The Corporate Compliance Insight blog relates an account of a software company that went out of business after its backup tapes and a server containing all its database data were stolen. Over the weekend, thieves had jimmied the lock to the double front doors through a gap in the entryway. They simply entered the data center, which had been left propped open to provide better temperature control. This company’s experience demonstrates that in the same way you encrypt data to deter cyberattacks, you need to ensure that the physical area in which your racks are stored is protected by secure door locks and make sure doors remain locked at all times. 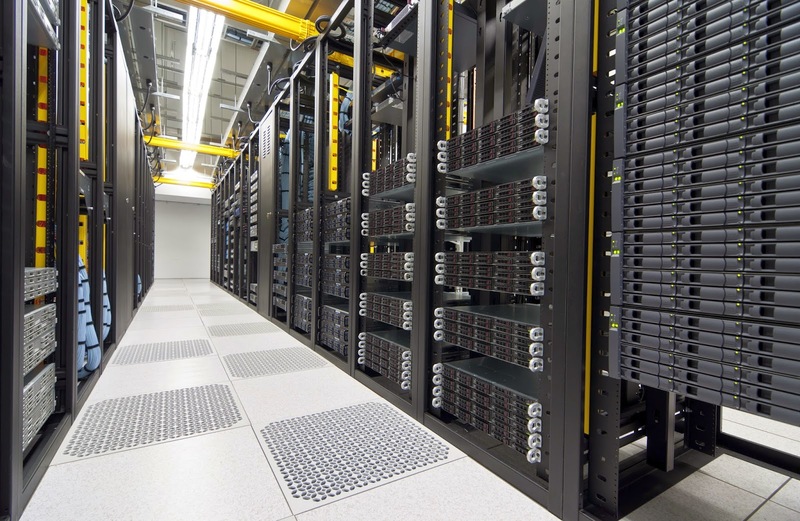 Data center security breaches don’t always happen after hours. One of the easiest ways to gain unauthorized access to a data center is by tailgating, where a visitor follows an employee into the facility. For an additional layer of security, consider implementing access controls at the rack level. If you store your data at a colocation center that manages data for multiple clients, be sure you’re aware of how they secure the rack space containing your servers. 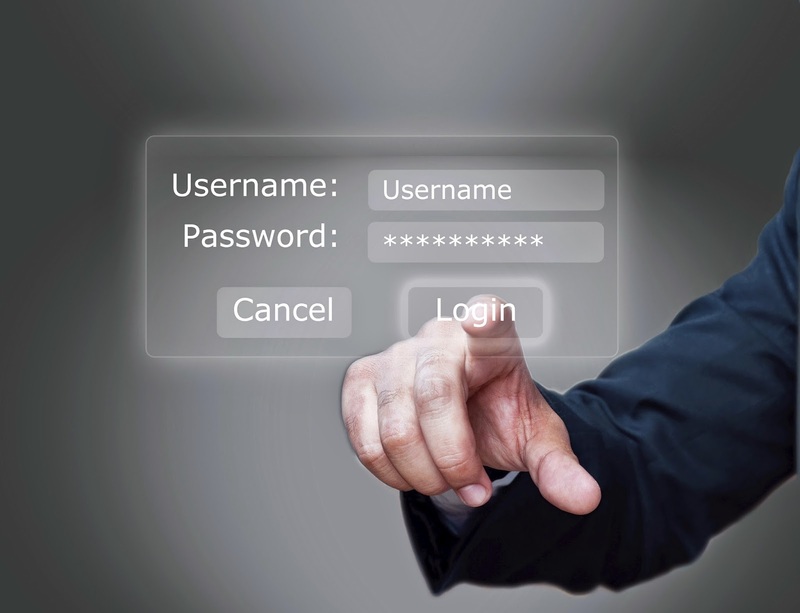 In 2013, insider data breaches rose 80 percent as compared to 2012. To protect your data against physical security breaches, secure keys in a high-security electronic key control system that can restrict key access at both the user level and key level. For example, some key control systems control user access through features such as fingerprint readers for biometric authentication, dual login requirements, motion-activated security cameras and manager-defined user permissions profiles. At the key level, many electronic key control systems will sound an alarm or send a text or email alert if an employee attempts to remove a key they’re not authorized to have. Other systems, such as the KeyTrak Guardian, can even physically lock down keys so only authorized employees can remove them. When performing routine physical security audits, key control logs are essential to determining how keys are being used and identifying potential security issues. Using an electronic key control system can automatically produce a 100 percent verifiable audit trail. This eliminates the element of human error that’s inherent in manual key control logs. Automated reporting is also useful in that you can choose to receive an email or text alert in the event of a security breach, at which point you can run the necessary reports to investigate the issue. For more physical security best practices, read our post "The Four Layers of Physical Security." It’s the best way to describe how you feel when you walk into your business and discover there has been a break-in. You’ve just lost your sense of security, valuable time and hard-earned money. It’s how you can feel if you take some steps to secure your business before it’s too late. This comes from implementing the appropriate physical security, installing an intruder alarm and having an electronic key control system. If you use manual key control like a pegboard, you would be right to panic at the sight of a break-in. However, with an electronic key control system, you’ll know your valuable keys (and more importantly, the valuable things they unlock) are protected. You’ll be glad you prepared ahead of time. If your intruder alarm doesn’t sound, the break-in might have come from an employee with access to enter the building. As you move forward with the investigation of the break-in, you can check your electronic key control system’s records. If it turns out the break-in occurred because an unauthorized user gained access to a key, you’ll be able to track down the last authorized user who had it and determine if they misplaced it. The system automatically records all key activity, including when the key is removed, how long it’s out, when it’s returned and who checked it out. If a key is checked out for a suspiciously long time, you’ll know exactly who to approach about the situation. A lot of businesses don’t realize the need for electronic key control until after a break-in occurs. But if you install an electronic key control system well ahead of time, you can be prepared and protected. Check out our website to find out more about electronic key control. Eighty-eight percent of all museum thefts involve someone on the inside. This means the people you hope you can trust the most with valuable artifacts may, in fact, be the ones you have to scrutinize most closely. The Silverton Museum in Oregon learned that lesson the hard way when two antique watches went missing without any sign of forced entry. A contributing factor to the theft was the fact that nearly 15 volunteers had access to the keys for the first watch's display case. Moreover, the second watch's display case didn't even have a lock. When the watches went missing, there weren't any clear indications of who might have opened the showcases. The museum can't ignore the need for tighter security now. The first step in tightening security would be putting locks on every exhibit. This small action would go a long way in securing valuable historical pieces and deterring any potential thieves. Next, the museum would need to find a way to ensure responsibility among their employees and volunteers. One way to enforce accountability is by using an electronic key control system. With an electronic key control system, you can give each user a different authorization level. Instead of providing volunteers access to every display case key, you can limit access to only the specific key that a volunteer needs. Key control systems also create an automatic record each time someone checks out a key. If a theft does occur, an electronic paper trail will lead to the last person who had the keys. Even if they aren't responsible for the missing item, they might know how someone gained access to the keys that were in their possession. Check out this post for more benefits of electronic key control. Thomas Rica, a former employee of Ridgewood, NJ public works, was recently convicted of four counts of theft. Rica lost his job as public works inspector for Ridgewood when it was discovered that he stole $500 in quarters from the meter collection storage room. However, a further investigation revealed that he had actually stolen $460,000 by pocketing quarters a handful at a time over a period of two years. Now Rica will pay an initial fee of $69,000 to the village of Ridgewood as well as $2,000 per month for the next five years. He also lost his pension of $30,000 for his 10 years of employment. Along with these punitive measures, Ridgewood has taken steps to protect its assets and avoid similar situations in the future. However, Ridgewood might have been able to prevent this crime from ever happening by simply using an electronic key control system with access levels. Just looking at how Rica got to the coins in the first place reveals the problem: Although his job didn’t give him any reason to be in the meter collection room, Rica used a master key he was given “due to the nature of his position” to repeatedly gain unauthorized access to the room. When using an electronic key control system with access levels, managers can determine which keys employees are authorized to use. That way, individual keys are checked out based on need, rather than just giving upper-level employees a master key. 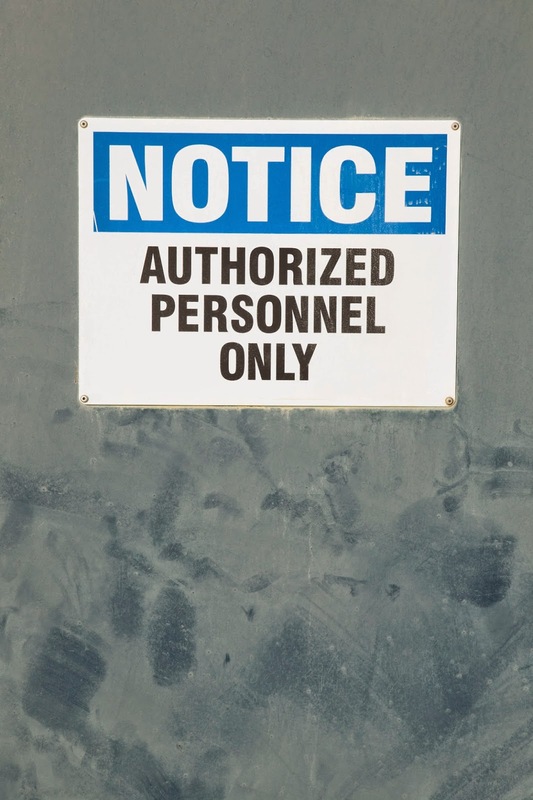 If anyone takes a key outside their authorization level, some systems have the capability to sound an alarm, send an instant text notification to the manager or lock the key down altogether. Even if an authorized employee tries to steal assets using a key they have permission to use, the electronic key control system tracks and reports user activity, producing a verifiable audit trail that makes it easier for entities like Ridgewood to catch thieves. Alcatraz, the most famous prison in the U.S., saw multiple escape attempts while it was open. Though no one succeeded, it's amazing more people didn't try, given the lax key storage. The key box pictured below clearly offers little resistance to resourceful prisoners. Fortunately, the key control standards of today are much higher. But even with the advanced key control technology that currently exists, sloppy key management still occurs. For example, the largest prison in Indiana had to change every lock in its facility due to missing master keys. Not only are such mistakes costly ($53,000 in this case), but they also put lives in danger. To prevent key control mishaps, consider using an electronic key control system that enforces accountability by automatically recording transaction information when a user requests a key. These systems record the employee's name, the date, the time and the key that was requested. If a key goes missing, you can use this information to quickly identify the last person who checked it out and resolve the issue immediately. You can also set up text or email alerts to be notified immediately of missing keys, rather than finding out after the weekend has passed, like the warden at the Indiana prison did. If the checkout time of a key exceeds its limit, you'll know right away and can approach the guard who last requested it. 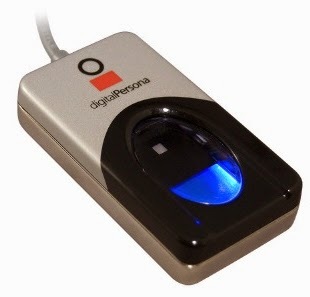 Has your prison experienced any additional benefits of electronic key control systems? 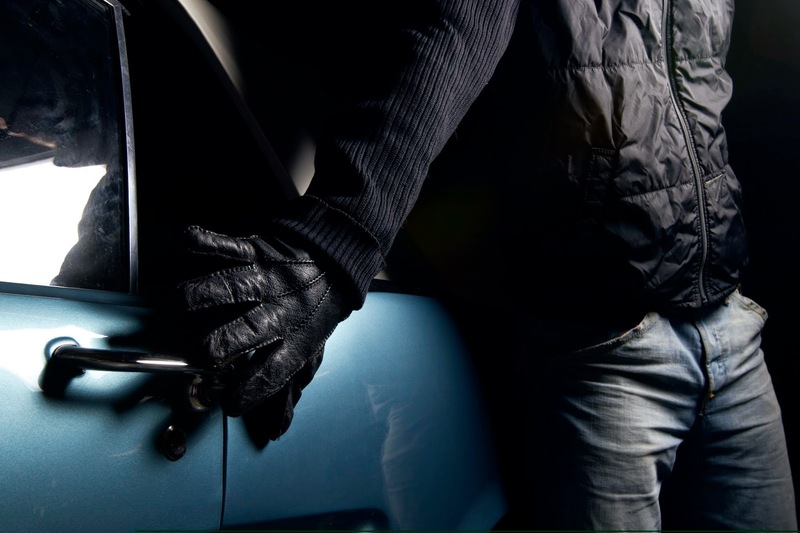 How much does internal theft cost your dealership? It might be more than you think. 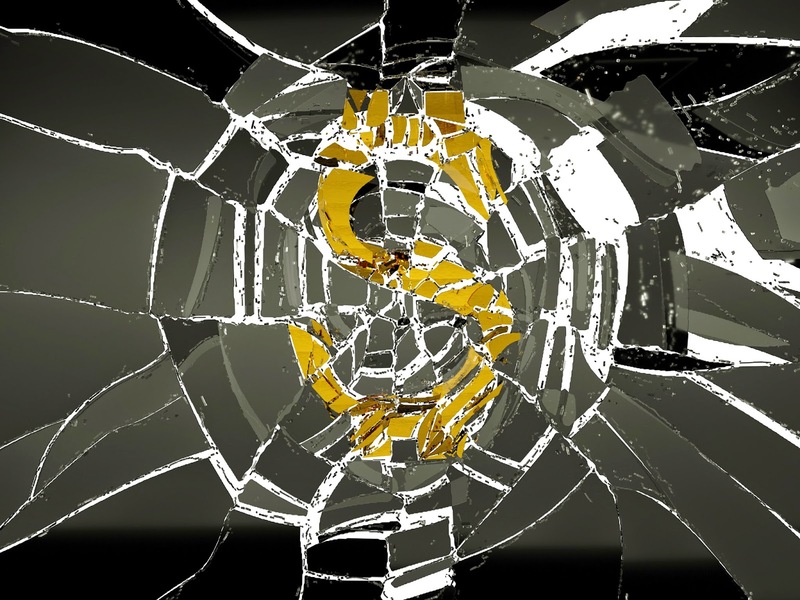 Believe it or not, businesses lose as much as 7 percent of annual revenue to internal theft. 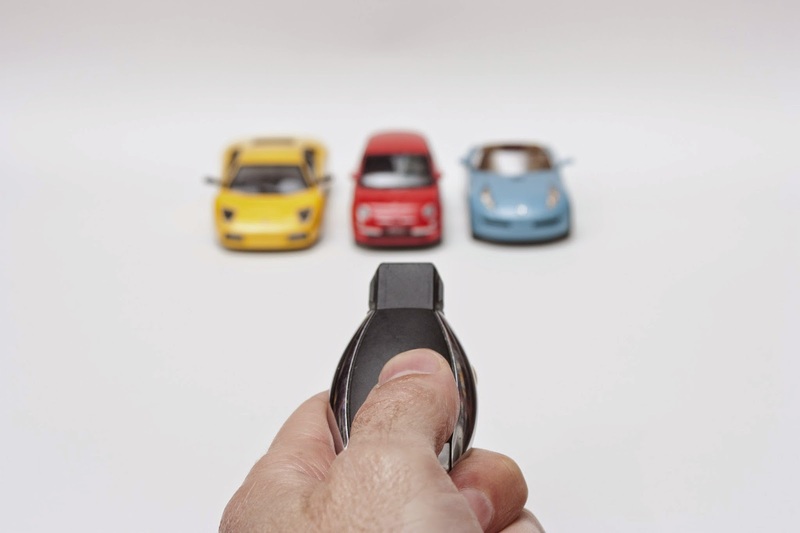 To protect the cars on your lot, it's important to maintain control of your keys. However, keeping track of employees' access to keys at your dealership — especially when insider theft is becoming an issue — can be a daunting task if you don't have an automatic, verifiable system in place to help you. 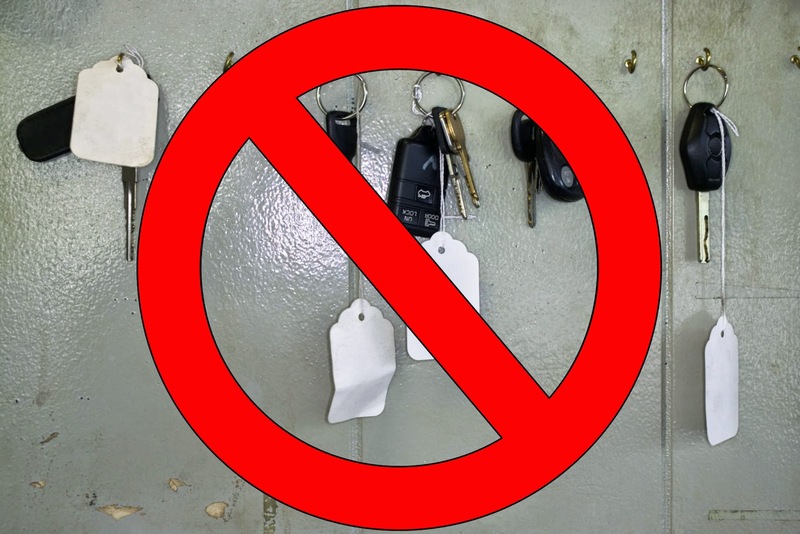 By storing keys on a traditional pegboard or inside a desk drawer, you're giving personnel unlimited and unmonitored access to every car on your lot and therefore can't hold your staff accountable. However, with an electronic key control system, you can easily and quickly identify (and deter) dishonest employees. Automatic key control systems only allow personnel with valid passcodes, proximity cards or fingerprints to check out keys, creating a verifiable record that you can use to track employees' key activity. You'll know when an individual took a key and returned it, making employees more accountable and less likely to use keys for criminal purposes. To prevent key control-related theft at your dealership, learn more about the benefits of electronic key control. Businesses are constantly at risk of theft, particularly when their physical assets aren't fully secure. The best way to keep thieves at bay is to break down security into four layers: deterrence, access control, detection and identification. To help you protect your property and prevent theft, here are four ways an electronic key control system can enforce all four of these security objectives. By placing your keys in a secure key control system made of heavy-duty materials like steel, you can help prevent criminals from gaining access to high-security rooms or assets. An electronic key control system that requires employees to log in by entering a unique password, swiping a proximity card or scanning their fingerprint will also make it more difficult for employees to commit internal theft. Some systems will even automatically record the times employees take and return keys, creating a real-time verifiable audit trail. Chances are you enforce some level of access control for your facility, but if you’re not monitoring who can access your keys and high-value assets, you could be missing a vital layer of security. By implementing a key control system to manage your business’s keys, you can limit which keys are available to users based on job function, time of day and even days of the week so you can prevent employees from accessing restricted areas and items after hours. If you're currently using manual key control, such as a pegboard or lockbox, you have no way of detecting the exact moment a key has been requested by an unauthorized user or has exceeded its time limit. By implementing an electronic key control system, you can choose triggers to sound an alarm or send a text or email to the system administrator. Such triggers include unauthorized users attempting to access the system, overdue keys or a system drawer being left open for too long. By alerting you of overdue keys and other suspicious activity, your system helps you identify and resolve potential security breaches. Employee accountability only goes so far. By using a key control system with a video camera and biometric fingerprint reader, you can eliminate the risk of password sharing and identify who accesses the system. Adding a motion-activated video camera to your key control system will allow you record any person who approaches the system, even if the person doesn't attempt to log on. While a video camera can help you recognize faces, a fingerprint reader will distinguish individuals on a biometric level. The system will only unlock for a registered fingerprint from an authorized user and since no two fingerprints are alike, you’ll know exactly who’s accessing your system. With an electronic key control system you can meet these four security goals, know where your keys are and make sure your business is protected. Car dealerships always celebrate July Fourth with big deals to draw in big crowds. This influx of customers can make for a pretty hectic Independence Day. With so many people in your dealership, you need strict key control processes to ensure that your staff handle your vehicle keys efficiently and securely. To help ease your anxiety about serving such a huge crowd, follow these three key control tips on July Fourth. When you have hundreds of customers in a single day, you need to make sure you have efficient key control processes in place to keep track of the activity in your dealership. If an employee misplaces keys, you'll have to spend time trying to find the key or its duplicate when you could be attending to customers. Consider using an electronic key control system to mitigate these mishaps. The system will automatically record the name of the employee who accessed the key, the time they took it and a reason for the key checkout. If a key is misplaced and can't be found, you can check the records and talk to the employee who last had the key to quickly correct the situation. When your dealership is packed with people looking at the same lot of cars, there are bound to be several people interested in the same model. Placing a time limit on keys will help you ensure that no keys are with one salesperson for too long. 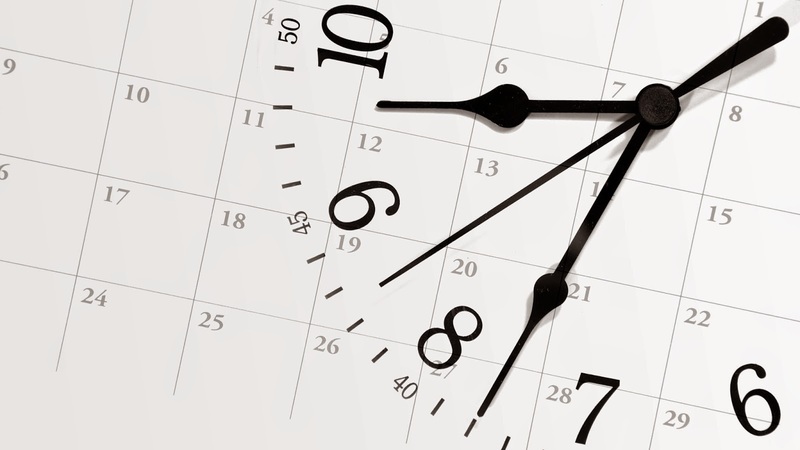 However, with inefficient key control processes, how can you enforce a time limit on keys? With an electronic key control system, you can set a time limit on specific keys. If you have a new model and expect a high number of test drives, you can choose to be notified when a key hasn't been returned within its time limit. You can receive text and email messages that will notify you of the overdue key and what time it was checked out so you can make sure that more than one person can demo a certain car. There's truth to the old adage "Out of sight, out of mind." If a thief is canvassing your dealership and sees the key cabinet in the front lobby, they know exactly where to go to steal car keys. No matter what type of key control system you have, keep it confined to one area of your dealership that's not visible to customers. If thieves don't know where to find keys, they're less likely to break in, because they're looking for quick and easy targets. Do you have any other tips for efficient key control? 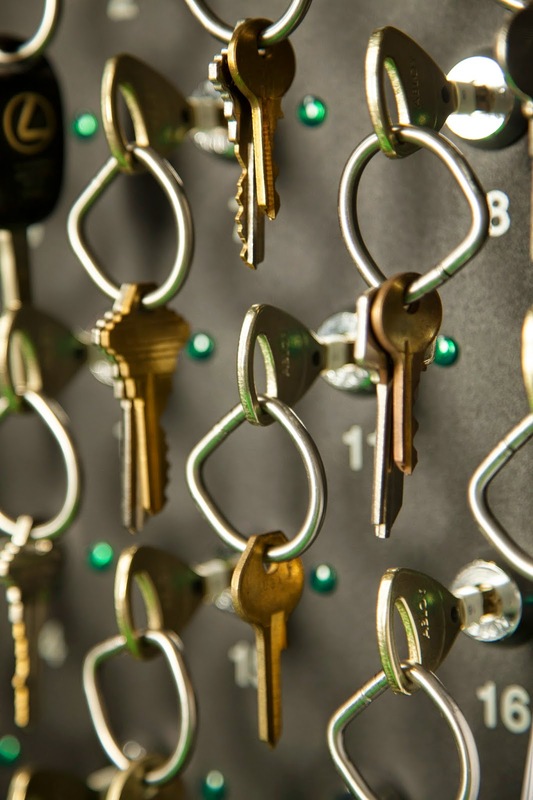 If you walked over to your key cabinet, lockbox or pegboard right now, could you account for every key you manage? As a business owner or manager, you have to make sure you keys are accounted for at all times to keep your assets safe. Without proper key control, you could be liable for theft, break-ins or worse. Any of the following scenarios could potentially disrupt your business. Here are three ways these scenarios can be mitigated by using an electronic key management system. Pegboards are still a common way for some businesses to store their keys. Unfortunately, this method offers little protection from potential thieves. If a burglar were to break into a business that kept keys on a pegboard, it would be extremely easy for them to steal keys and gain access to the assets those keys unlock. On the other hand, an electronic key management system that stores keys in a tamper-proof steel drawer provides the necessary security to prevent keys from falling into the wrong hands. Users can only access keys by entering a password, scanning a fingerprint or swiping a proximity card. With less secure key storage methods, there's no accurate way to determine how long someone has had a key. Sometimes employees check out a key and forget to return it. Other times keys turn up missing and there's no documentation on who checked them out. An electronic management system that provides overdue key alerts via text or email eliminates the need to hunt down keys that haven't been returned. Anytime a key has been checked out for too long, system administrators are alerted as to which keys need to be returned and who checked them out. A lockbox or pegboard offers no way to prevent employees from accessing keys to which they do not have access. If certain assets or areas in your business should only be accessed by managers or high-level employees, your key control method should provide a way for only those employees to have access to those high-security keys. An electronic management system that offers the option of a total lockdown drawer, such as the IntelLock drawer from KeyTrak, locks down any keys not in a user's access level. This means that when a user requests a key to which they have access, only the selected key will be unlocked for removal. To read about more ways an electronic key management system can help your business, check out our post "What Are the Benefits of Electronic Key Control?" This summer, your business might take on some seasonal staff members. While these extra workers can lighten your load, they can also cut into your profits. According to the U.S. Chamber of Commerce, 75 percent of employees have stolen from their employers, and many do so repeatedly. The best way to improve accountability for any employee, temporary or permanent, is to utilize an electronic key control system to deter theft and detect and document key activity. Here are three key elements of preventing theft this summer. If you don't properly secure your keys, they can easily end up in the wrong hands. Some companies use a manual key control method such as storing keys in a drawer or hanging them on a pegboard. However, the problem with this method is that there's no way to automatically verify if an employee has authorization to check out certain keys. An electronic system, on the other hand, can help you deter criminal behavior. You can assign different access levels for your permanent and summer employees. If an employee takes a key they are not authorized to check out, an audible alarm will go off and/or you will be sent an email and text alert, notifying you of the action. Response time is crucial when it comes to theft. 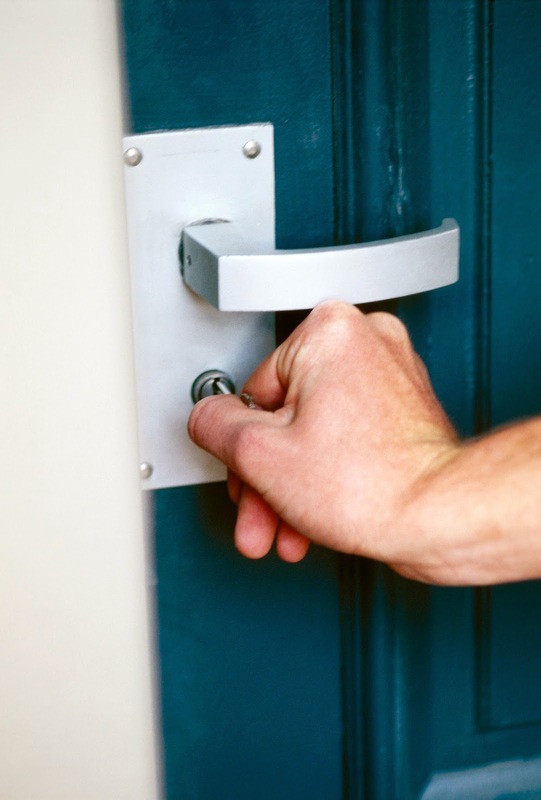 In addition to deterring employees from checking out keys outside of their access level, email and text alerts can also notify you of missing or overdue keys before a prohibited activity is performed by your staff. The message will let you know which key is missing and which employee last checked it out so you can promptly address the security breach. Proper documentation is key to preventing internal theft. If you rely on a manually updated log book and insecure key storage methods, your key control practices are vulnerable to manipulation. For example, a summer employee could remove a key from a pegboard without signing it out and return it before anyone notices it's missing. With an electronic key control system, you'll be able to easily keep a real-time verifiable audit trail of which users checked out or returned keys and the date, time and reason they did so. Users cannot forge or alter data, so you'll automatically have tighter and more accurate key security than if you were using a manual process. Want to read some true stories about employee theft? Check out what happened to the University of Arkansas and Tiffany & Co. If you're in the public sector — whether you're a law enforcement agency, higher education institution or military facility — your keys have to be tightly secured. The liabilities associated with lost or stolen keys are severe, so it's crucial to keep your keys in a tamper-proof key control system. A system with a motion-activated video camera, such as the KeyTrak Guardian, will take your security a step further and drastically increase the chance of identifying a suspect's involvement in case of a breach. Here are a couple benefits of using motion-activated video cameras in conjunction with your key security system. Security cameras on key control systems provide indisputable evidence of a security breach. As soon as someone attempts to access the system, the camera starts to record, so no relevant activity will go unnoticed. For additional benefits, consider a system camera with a fish-eye lens to provide a wider field of vision. Fish-eye lenses can capture someone accessing the system even if they're not directly in front of the camera. 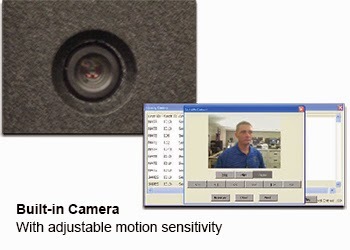 Look for a system that retains all video footage in addition to transaction records. If you notice any suspicious key activity, you can review the key transactions and compare them to the video logs to identify any discrepancies. Whether an employee maliciously uses keys or a thief coerces an employee to access keys to commit a crime, the video camera will capture it. The transaction records show the date, time and employee who accessed the key, but video footage will provide greater detail as to what actually occurred. Have you experienced other benefits of key control systems with motion-activated cameras? “The asset has been secured.” You may have heard an FBI agent drop this line in your favorite crime drama after they lock down a person or item important to national security. When a character in a hit series mentions an "asset," they could be referring to anything from a top-secret file to a lethal weapon. Depending on what industry you work in, this could be the case for your business as well. 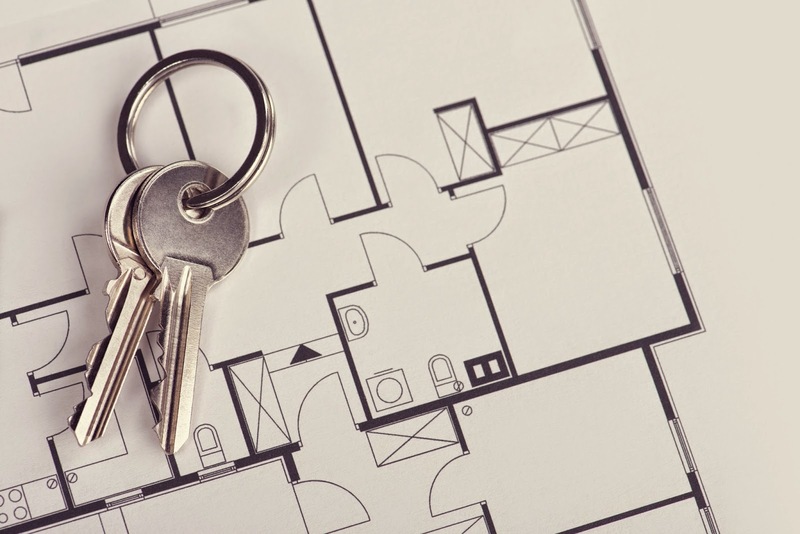 As a manager, you may need to secure not only keys but assets in a variety of forms. Let's look at a couple industries that use electronic key management systems to secure assets other than keys. Along with managing key access, police departments and correctional facilities are tasked with securing assets such as firearms, tasers and other highly sensitive weapons. If any of these items were to fall into the wrong hands, it could open the department up to major liability. An electronic asset management system with individual tamper-proof lockers and features, such as a biometric fingerprint reader, to prevent unauthorized users from accessing assets, provides more security and accountability than a traditional storage area and allows law enforcement agencies to store larger items. 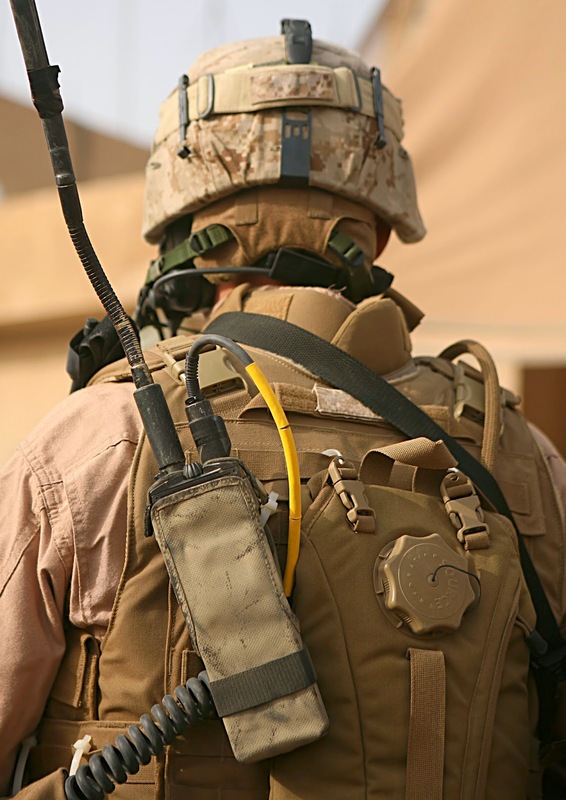 Similar to law enforcement agencies, in addition to securing keys and the areas they unlock, military facilities have highly sensitive weapons and information to keep secure. An electronic key and asset management system with lockers featuring all steel construction enables these types of facilities to safeguard larger items such as handheld radio equipment, transmitters and locators behind a passcode, fingerprint and/or proximity card. High-security electronic key control systems with the flexibility to store items beyond just keys increase accountability, security and efficiency for a variety of businesses. Find out more about the features of electronic key control systems here. Keys don’t always go missing because they were stolen by an employee or common thief. Sometimes, you and your staff just misplace them (which still creates a security breach). Take the Phoenix Fire Department for example. It originally made 1,350 copies of master keys that open more than 9,000 business’s lock boxes throughout the city. The fire department uses these keys to enter buildings in the event of an after-hours emergency. The bad news is, after 15 years, 63 percent of those keys have gone missing. No one stole them. They were simply misplaced. Personnel failed to return keys when they retired or quit, the department sold ladder trucks and engines with the keys still inside, etc. Long story short — the city is paying $50,000 to re-key all 9,000 of the lock boxes. Remember, the security of your business is only as good as the controls you put in place to safeguard your keys. If you don’t properly secure keys, it’s not only dangerous for your staff and customers, but it’s costly to go back and fix these issues after the fact. Users must provide a form of authorization such as a password or fingerprint before they can remove a key, giving you a real-time, verifiable trail of key activity. If a key isn't returned within a specific time frame, the system will send an alert directly to the administrator by text or email. You can see who last checked out a key and what time it was accessed. The system houses the keys in a single location, so there is no more guessing where specific keys are located. Overall, the system tracks who checks out a key and when, providing accountability where previously there was none. Read another true story of key management issues in a public safety department here. What Are The Benefits of Electronic Key Control? With the progression of technology, businesses have begun automating processes for various reasons, including improving efficiency to increase profits. Automated key control provides certain benefits that you just don't get using pegboards or lock boxes. However, there are still some companies that haven't jumped on the automation wave. If you happen to be one of the holdouts, here are four benefits to electronic key control that just may change your mind. Electronic key management eliminates the guesswork of who checked out a key, when they checked it out and if they returned it. With an electronic system, employees must enter a valid password, swipe a proximity card and/or scan their fingerprint to gain access to keys. The likelihood of human error is significantly reduced, as an audit trail is created when a key is removed, noting who removed the key, the date and time the key was taken and when or if the key was returned. It's a common misconception that electronic key control systems are complicated and take too long to operate. This assumption could not be more wrong. On average, an electronic system is about twice as fast (or faster) than a manual process. It would take anywhere from 30 seconds to five minutes to locate and remove a key from a pegboard or lockbox and manually update a log sheet. Conversely, it would only take 15 to 60 seconds to perform the same transaction with an electronic system. Added security is by far the biggest benefit of electronic key management.When using a manual key control method, there's no way to automatically verify if an employee has the authorization to check out certain keys. An electronic system, on the other hand, can assign different access levels. With this added level of security, users can only obtain keys for which they have authorization. In addition to preventing employees from accessing keys outside of their access level, electronic key management systems can also notify you of missing or overdue keys by sending a text message or email. 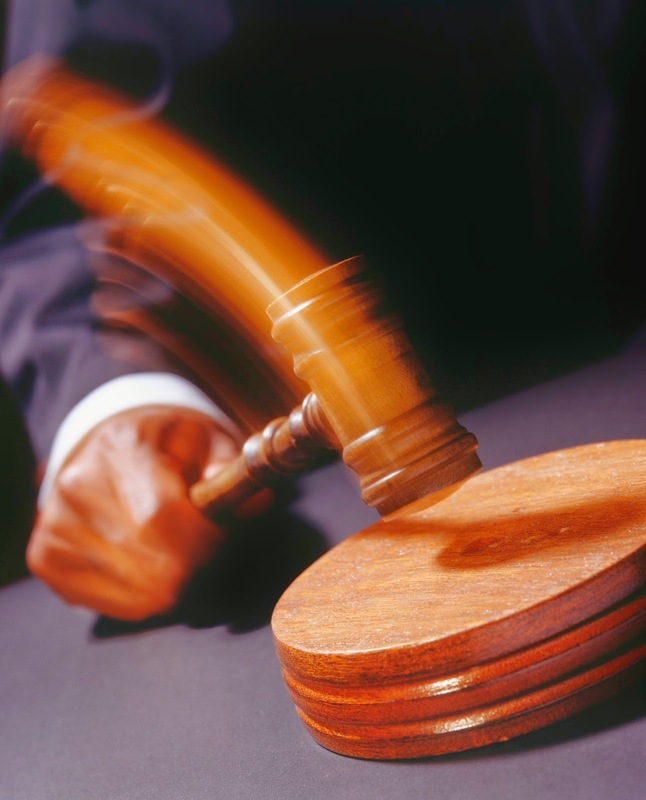 An apartment complex was found liable in the death of a former tenant after the handyman used a master key to enter the tenant's apartment and murder her, resulting in a $10.8 million verdict. The Phoenix Fire Department lost 850 master keys that access about 9,000 business throughout the city, resulting in $50,000 in rekeying costs. In both cases, an electronic key control system would have not only tracked who checked out keys but also made sure that users were authorized for certain keys. To see the benefits of electronic key management in action, check out our key and asset management solutions overview video.